I mean, it was really just a matter of time before a fight from Germantown made its way into the semi-regular “Philly Fight” search for Tuesday Night Fights. 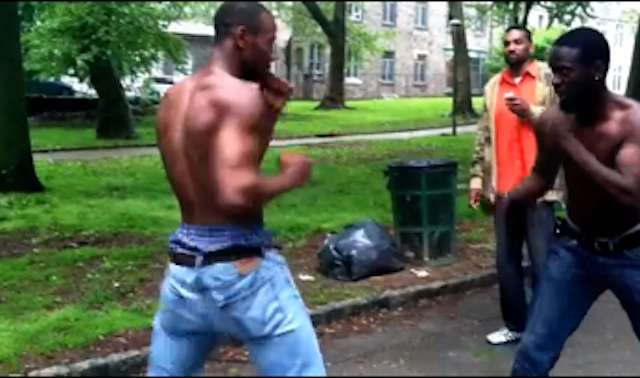 So here we are, at Vernon Park off Germantown Avenue, with two gentlemen who fight their way through disagreement. Could’ve been worse. But the videographer who turned the camera to the side halfway through probably couldn’t have been.